Surf’s up! 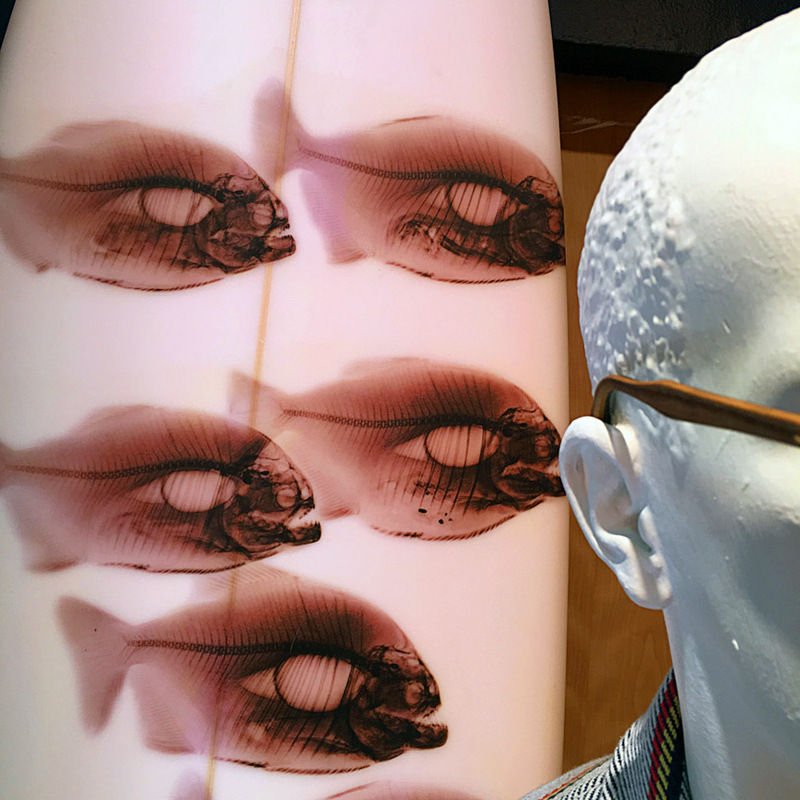 Steve Miller’s custom x-ray printed surfboards are now making waves in Bloomingdale’s 3rd Ave window display. 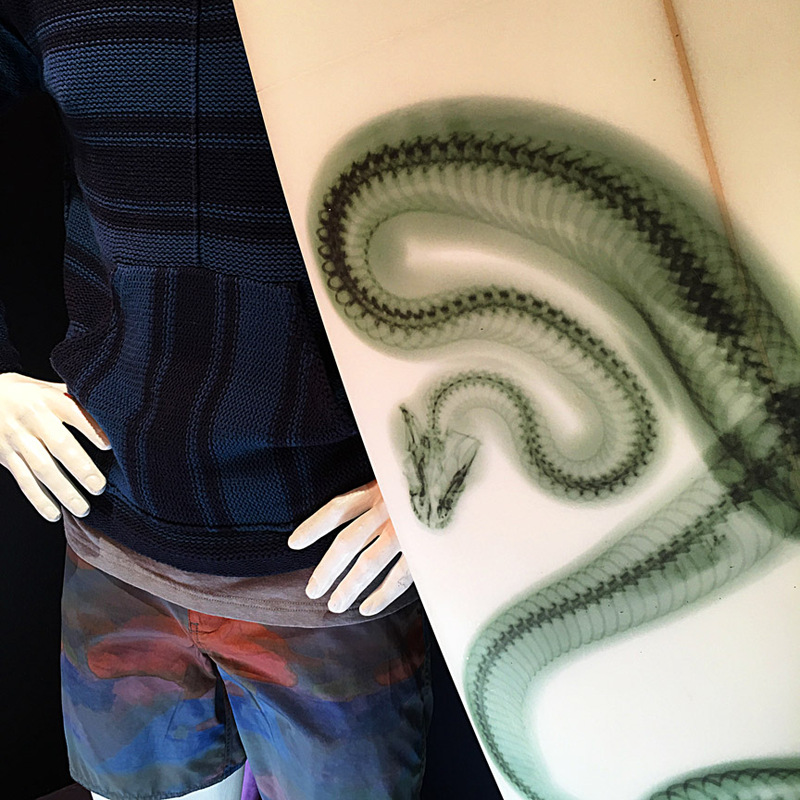 Skeletal renditions of snakes, piranhas, turtles, and other life forms are emblazoned on luminescent surfboards, juxtaposing extremes: the natural and the fabricated, the whimsical and the scientific, the alive and the dead. Yet, these opposites are not contradictory, they are complementary. They serve to highlight the display’s theme of “Living The Life” – a life well lived is seeing it all. 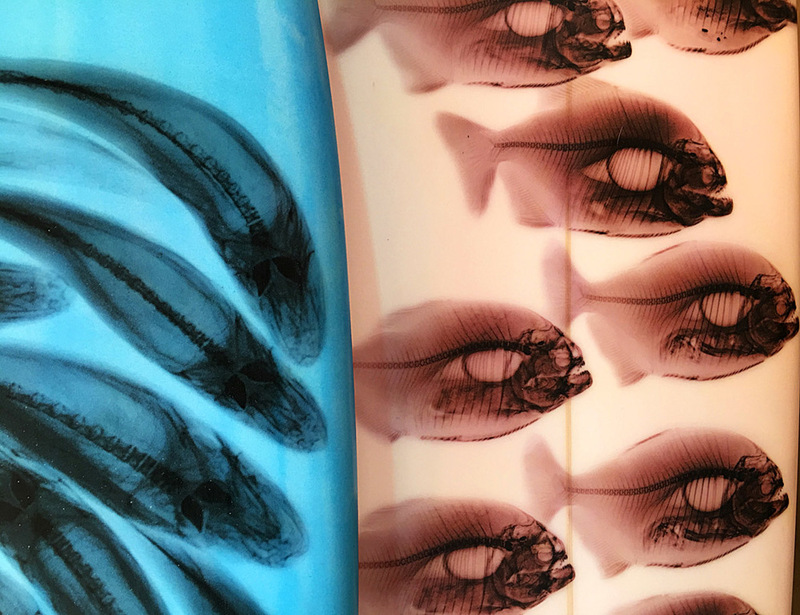 Steve Miller is an artist and writer based in New York. He is featured in our latest issue: Science and Technology, and is a frequent contributor to Musée. Check out our interview with him here.